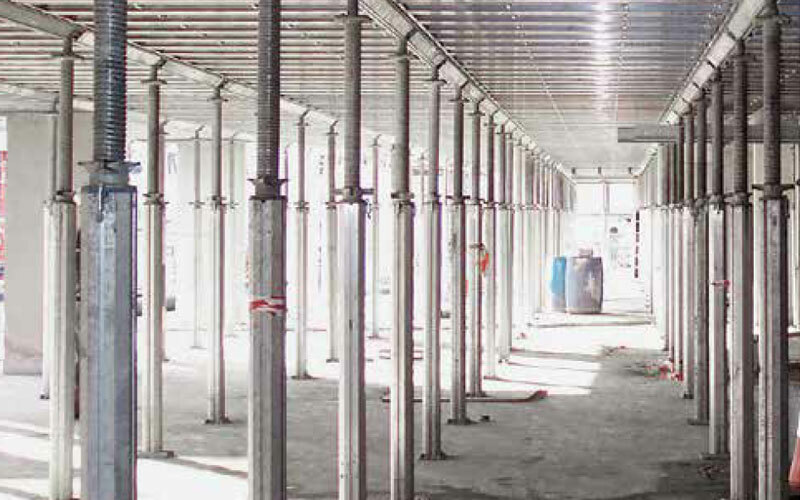 Whether you need telescopic props or aluminium system supports, the Ischebeck range of formwork props and legs covers the whole spectrum of on-site needs. From simple slab formwork one-storey high to single-storey sheds to tall falsework. Verified typical calculations are available for all Ischebeck formwork props and legs, which makes selection quick and simple. There is no need for time-consuming calculations. 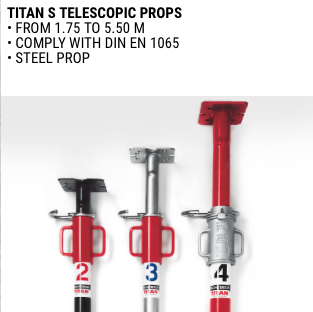 Titan S telescopic steel prop: Ischebeck steel props exceed all the requirements of DIN EN 1065 “Adjustable telescopic steel props”. Choice of painted or hot-dip galvanised finish for corrosion protection to EN 39. 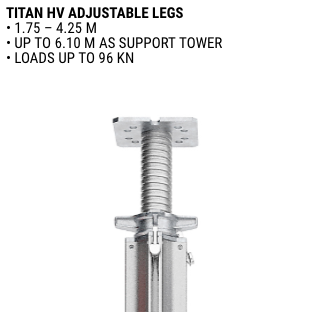 Titan HV adjustable legs: This prop with aluminium outer tube and steel screw jack can be easily extended so that the formwork needs of 75% of all storey heights can be covered with just one prop size! 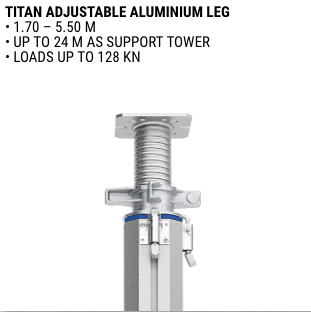 Titan Megashore leg: The Titan adjustable aluminium leg is the system leg for great heights. Combined with aluminium ledger frames, it is possible to construct large falsework units. 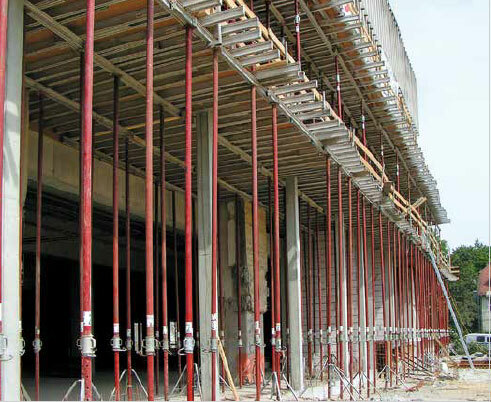 Titan adjustable aluminium legs are ideal for a huge range of applications: floor slab formwork, temporary propping, support for edge beams, table forms, falsework, mobile formwork, etc.